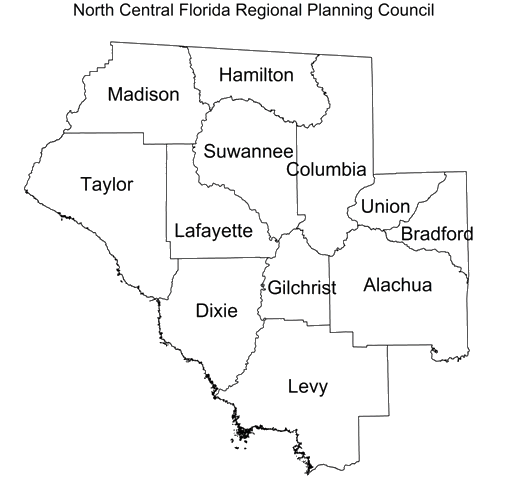 The North Central Florida Region includes 12 counties and 40 incorporated municipalities in the north central portion of Florida. Containing nearly 8,000 square miles of area, the region is characterized by its abundant natural resources, which include the world-famous Suwannee River, the marshes of the Gulf Coast, cypress swamps, upland forests, a large number of clear turquoise springs and other physical features. 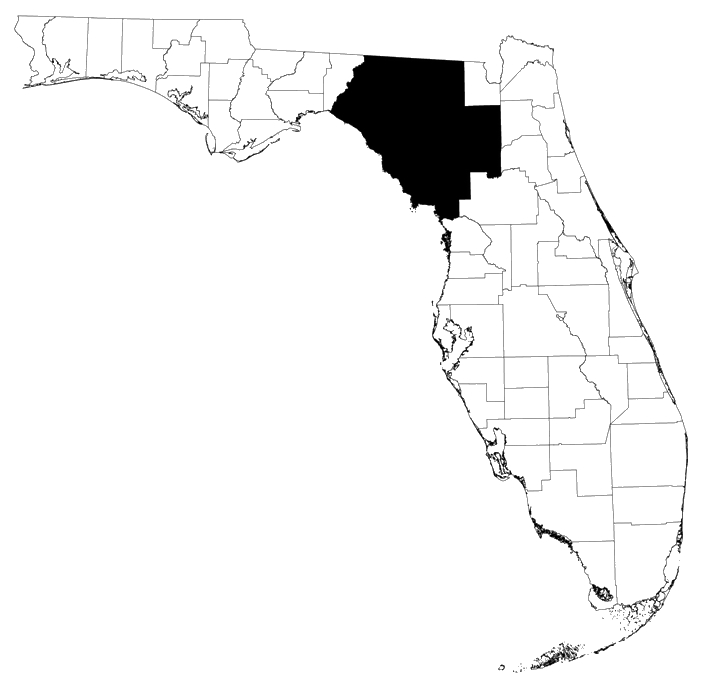 According to the 2018 Florida Estimates of Population, the population of the region is 561,660. The region's economic base relies heavily on the government and services sectors, with the University of Florida in Gainesville accounting for a major portion of the government employment. Gainesville is the regional retail shopping center and, together with Alachua County, accounts for nearly one-half of the total population of the region.